The 2GIG CP-DESK is a desktop mount for the 2GIG GC2 and the 2GIG GC3. This is a convenient stand for cleanly sitting your alarm panel on a table or desk. Buy the CP-DESK here. The 2GIG CP-DESK is a desktop mount for the 2GIG GC2 and the 2GIG GC3. This is a very convenient stand for cleanly sitting your alarm panel on a table or desk. A desk mount solution is a great way to make your alarm system completely mobile. Paired with the 2GIG AC2 power supply, the CP-DESK offers a quick and easy installation of your wireless security system. The CP-DESK mount allows you to setup your alarm system and test without deciding on a final location. Choosing a final resting place for your alarm system has many factors. A major factor when deciding on panel placement is cellular signal. If you are utilizing a cellular communicator, the alarm system should be strategically placed near an exterior wall in the highest point in the home possible. The 2GIG Go!Control panels provides "smash and grab" protection technology. However, this requires Alarm.com enrollment. 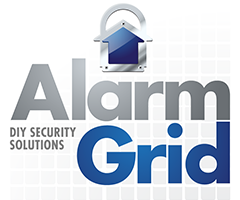 We recommend protecting your alarm system by placing the panel somewhere an intruder will not find it before the entry delay expires. Wall mounting your panel is great, but it is somewhat permanent and mounting it on a desk or table prevents you from having to snake power cables through your walls. Please note that the 2GIG CP-DESK can also be used as a desk mount for the 2GIG SP1 and 2GIG SP2 external keypads! Can Apartment Dwellers Install a Security System?